Holidays in Kowloon take you to the vibrant, local-side of Hong Kong. The neighbourhood is known for its fantastic cuisine and fascinating local culture, with bustling open-air markets, street-side cafés and restaurants, and boutique shops. The mix of Asian cultures combines interesting shops with delicious flavours and can be seen around every corner. Spend time wandering through the narrow streets of Kowloon, stopping off to pick up great deals on technology, and unique Japanese fashion. Sit on one of the little tables on the street and watch the world bustle by as you choose from Thai, Vietnamese, Cantonese, and Japanese street stalls. High above the streets are the luxury hotels and bars, which are located in the high-rise buildings along the harbourfront. Here you can sip fine wines and cocktails, as you watch the ships and yachts dock, and take in the bright lights of the cityscapes below. Holidays in Kowloon can be found up high. Here you’ll find some excellent five-star hotels, Michelin-starred restaurants, rooftop bars, and designer shopping malls. For a taste of history visit Kowloon’s Walled City, which has historic architecture, and a beautiful park for you to explore. Enjoy a taste of the city’s modern culture at the open-air market, where you can watch opera singers on street corners, or even visit a fortune teller. 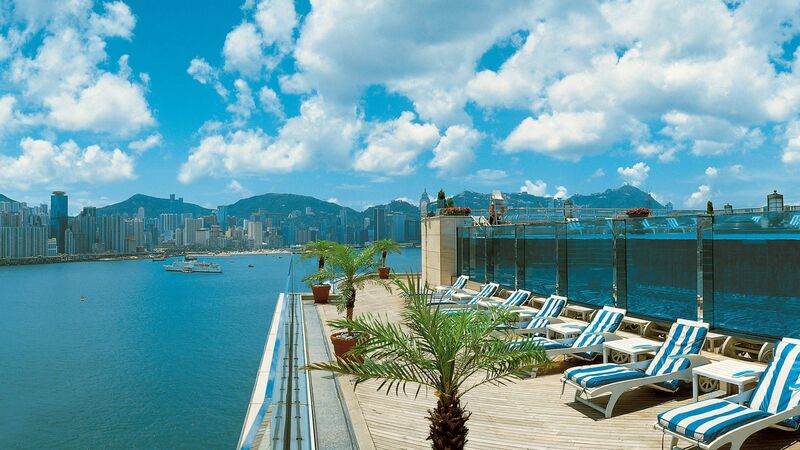 At Sovereign we’ve put together a selection of the best hotels for your luxury holiday in Kowloon. Book with us and we’ll help you find the right one for you, leaving you to concentrate on making memories to last a lifetime. Choose the Harbour Grand Kowloon and you can take in spectacular views of the city and its harbour from the rooftop bar, while inside you’ll find spacious guest rooms, elegant details, and fantastic Cantonese and Japanese menus. Transfer time from Hong Kong airport to Kowloon is approximately 40 minutes. Summer in Hong Kong lasts from June through to August. These months see soaring temperatures and high humidity. Thankfully for visitors (and locals), most places will benefit from air-conditioning making these months still a good option for visiting. If you are looking for more comfortable temperatures and less rainfall, October to April are the best months to visit Hong Kong. The winter months (November to February) are the coolest and are great if you are happy to wrap up and explore the city.